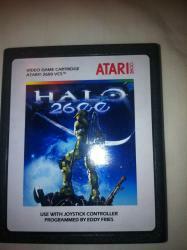 I will pay $420 for the original Halo 2600 released at CGE in 2010. Must be the original version, payment to be made through PayPal. Did you accidentally add a zero to the price, twice? That original cart is just as rare as Coke Wins. 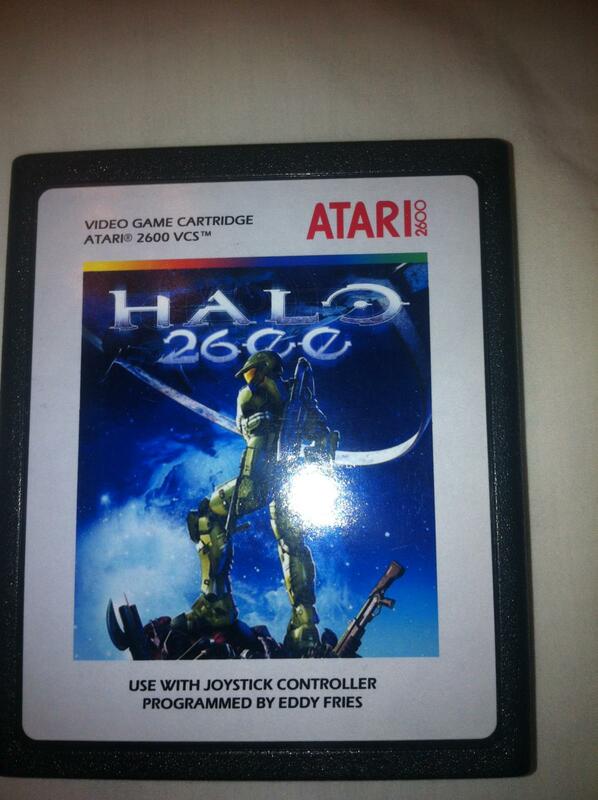 Halo on the 2600? Didn't know that had been done. Wow. Edited by Vaughan, Sat Jul 21, 2012 5:01 PM. What does the original cart look like? I bought one from a member here. Not sure if it's the "rare" CGE version. Can't imagine it's worth that much, but for that price I'd part with it in a heartbeat!!! The game isn't *that* good! Black. The box for the original CGE version is even more rare. Ah well. Back in the box with ya lol! Put it back in its baggy before you do that! LOL! I will. Might even play a round or two first! I'd never part with mine. Too many cool memories! Ahhh, the founding evening of the Wine Snob Club......ntavio, wolfman, CPUWIZ, Tempest, Wonder007, Rick Weis, Albert (as a Grand Poobah in spirit, he was busy doing something else during the illustrious founding)......such an evening! We really need to get another get-together planned sometime in the near future. I'd never part with mine. I know, you'd rather use it as an ashtray. ONLY THE BEST FOR THIS SNOB! Now that I know that ashtray is worth $420......EVEN BETTER! I think this was just some sort of social experiment, the dude doesn't even read his PM's. Might I interest you in some rare Pac-Man hacks?